How was the Union of Indigenous Nomadic Tribes of Iran (UNINOMAD) established? Since the last century indigenous nomadic pastoralists in Iran have been confronted with important historical events such as: the sedentarisation policy, the White Revolution (including agrarian reform and nationalization of the forests and rangelands). These policies weakened their customary management structures and were essentially continued following the Islamic revolution. Each of these events in turn has contributed to the disintegration of these productive communities. 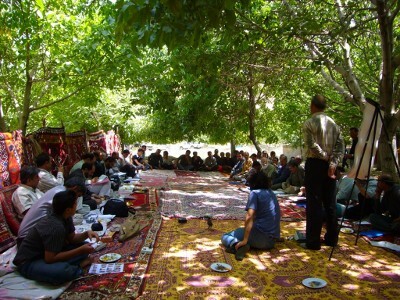 Since 2003, the indigenous nomadic pastoralists with the support of Organisation for Nomadic Peoples of Iran (ONPI), Forests, Rangelands and Watershed Management Organisation (FRWO), IIED and CENESTA, have focused on the key problem which the tribes themselves identified: “the social management vacuum in the tribal communities”. As a result of this analysis they decided to revive their customary social institutions at the level of tribal confederacy, tribe, sub-tribe and clans. One of the concrete action they took was the establishment of “Council of Elders for Sustainable Livelihoods” and Community Investment Funds (SLFs) at tribal confederacy, tribe and sub-tribe levels. These institutions, once established, were formally registered as legal entities. 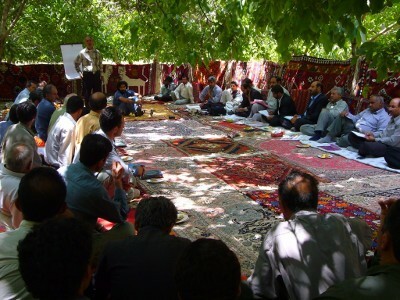 Considering the existence of some 100 tribal confederacies and 600 independent tribes in Iran, it is very important for these marginalized communities to have a unified voice at the national level. Over the past ten years, many tribes went through the process of establishing their own councils of elders, and once a considerable number of tribal councils had been established, a joint meeting of all councils was held in March 2010, where the leaders decided to unite into one national platform (UNINOMAD) of all tribal councils. The statutes of the national federation (UNINOMAD) have been prepared and the process for getting it formally registered is underway.